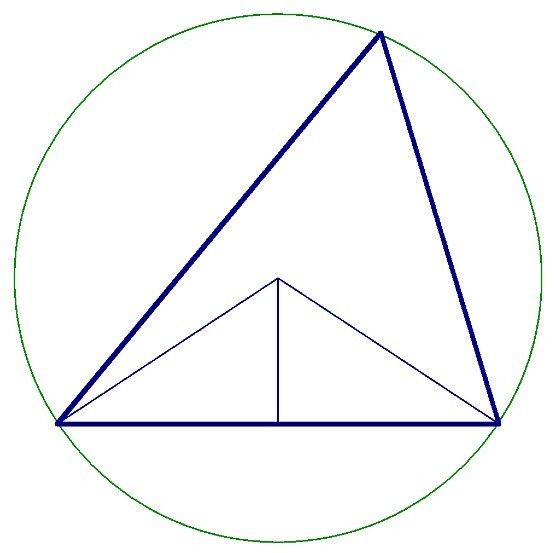 Trigonometry means; "tri" - three, "gon" - angle, "metry" - measure, or how to measure triangles. It is based upon the notion that two shapes that have the same shape, but different size work in proportion. Right triangles are studied first to keep the math simple and the constants of proportionality are given names to make the math easy; sin(), cos(), and tan(). Once students learn to apply what I call the four picutes they can calculate most any application. A student of mine was maked off by another student because his homework was too short, a quarter of the page for the one problem vs. a full page by the teacher's method. The teacher realized he was correct and had him teach the class his/my method. The four pictures would reveal this as the Law of Sines.